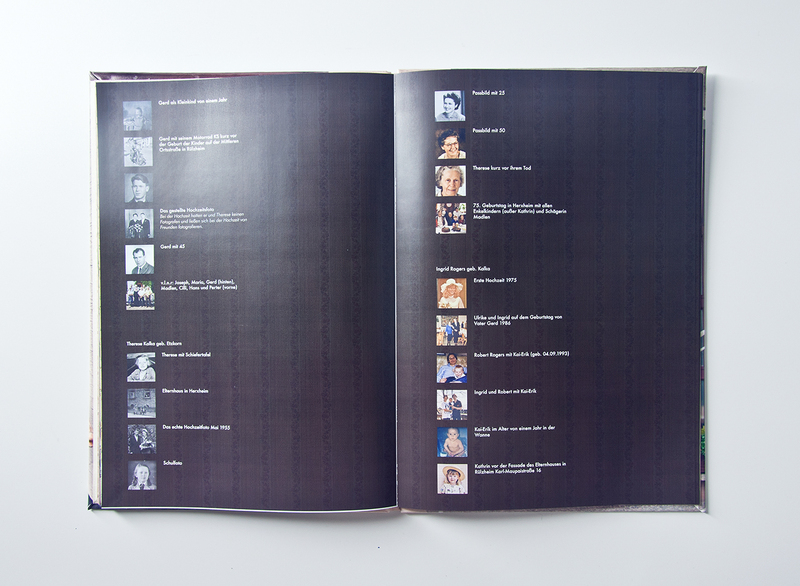 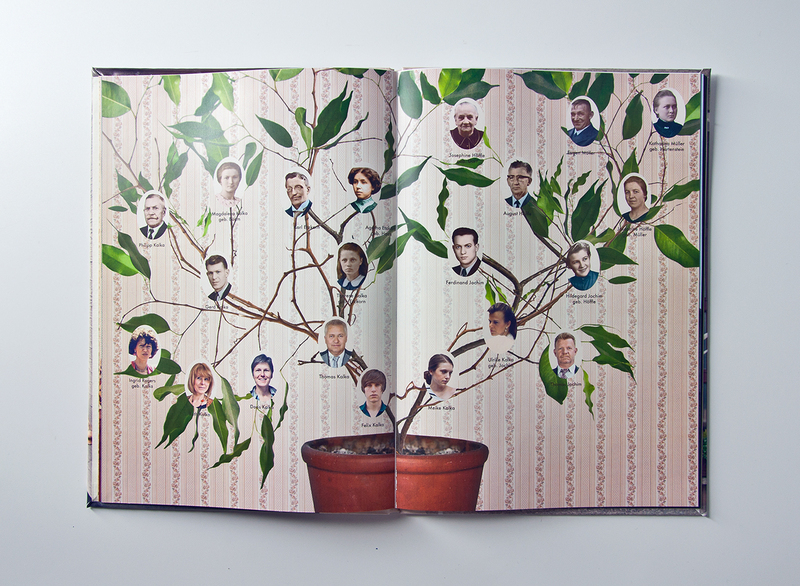 A family history book was created, displaying each ancestor in an imaginary room full of symbolism. 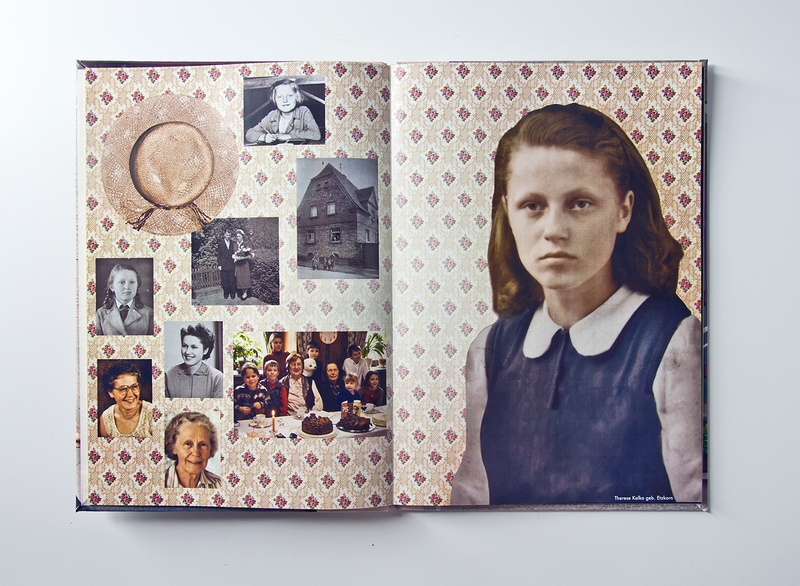 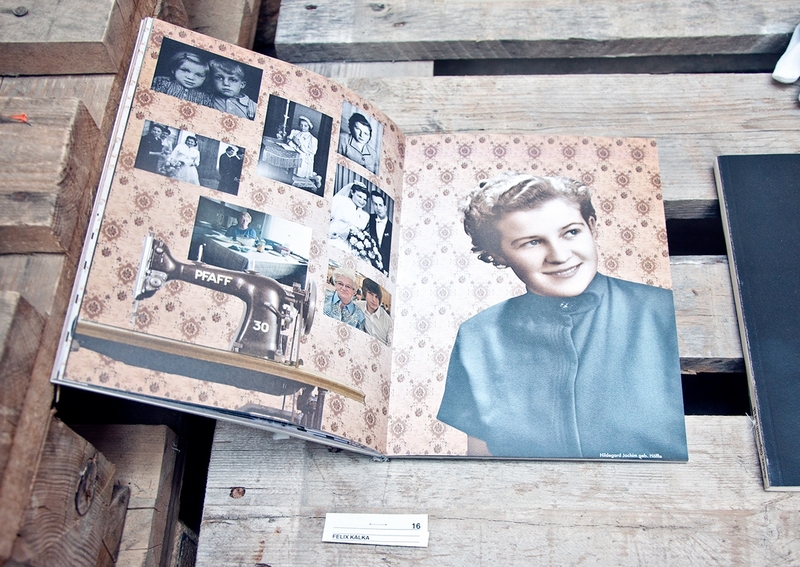 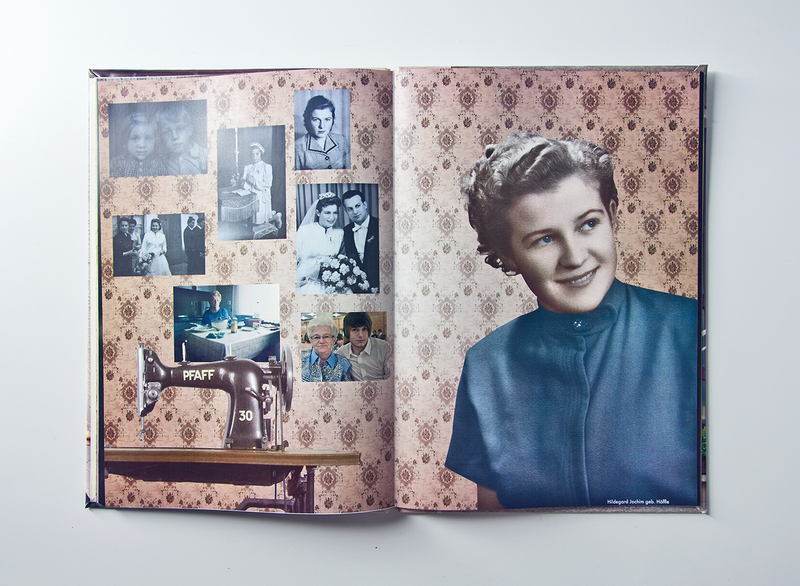 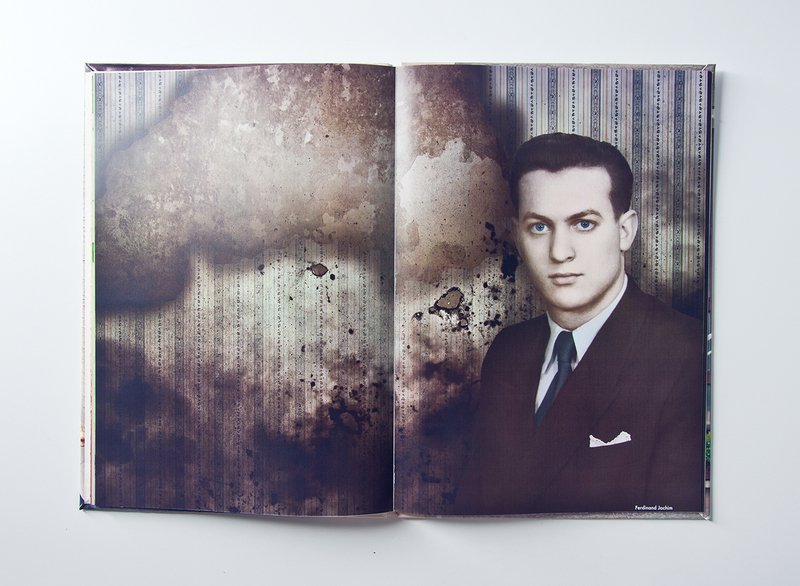 From burning walls as metaphor for leaving the family behind to sewing machines and cacti as personal objects and personality traits, the book focuses on the bonds within a family. 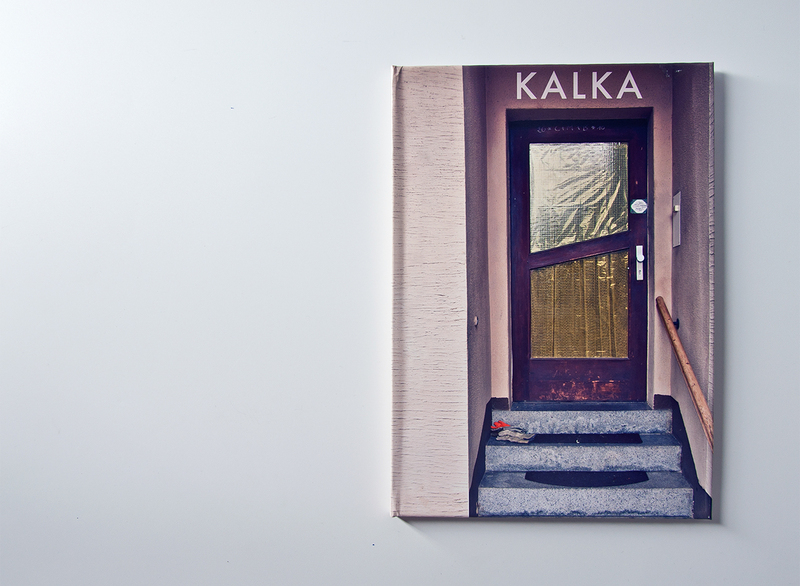 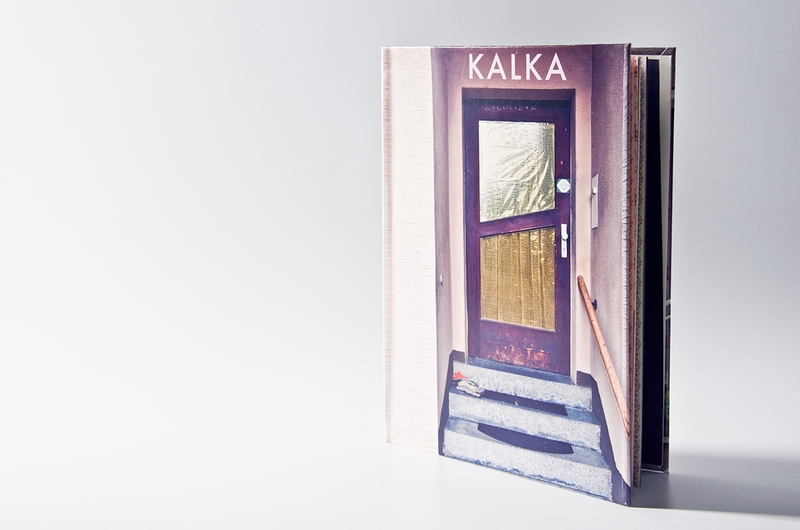 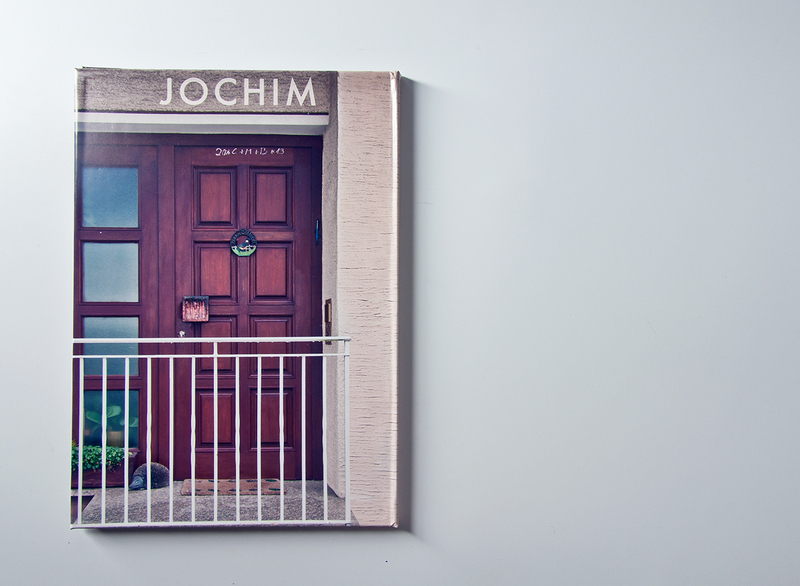 The cover was made by combining the entrance doors of the families, that merged together in the current generation.